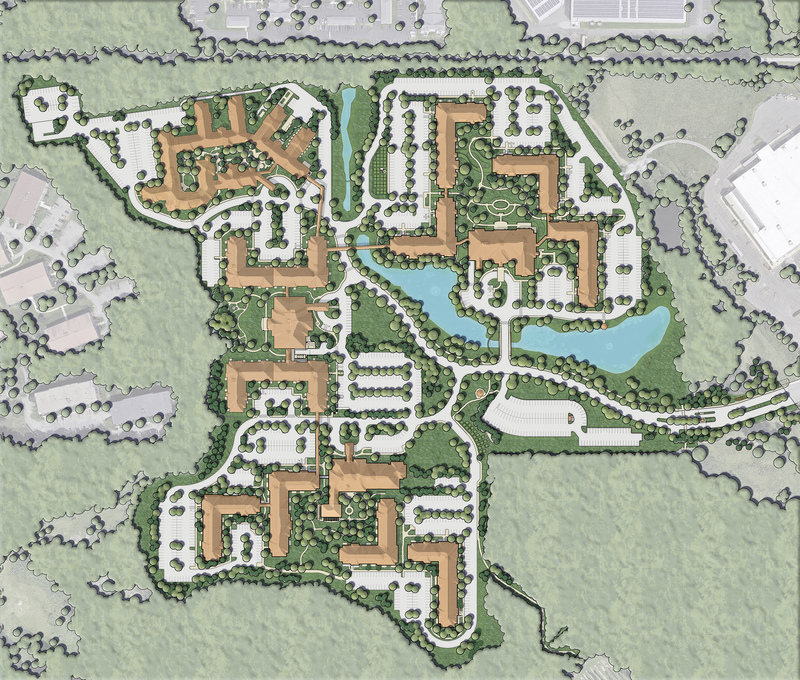 CRJA-IBI developed a Master Plan and provided conceptual through final site design services for Brooksby Village, an Erickson Retirement Community accommodating 1,350 residents in Peabody, MA. The campus is located on a 90-acre parcel of land which originally served as farmland for early settlers but which more recently functioned as a gravel quarry. Blasting operations exposed natural rock ledges and boulders and created a large valley in which the new community is nestled. 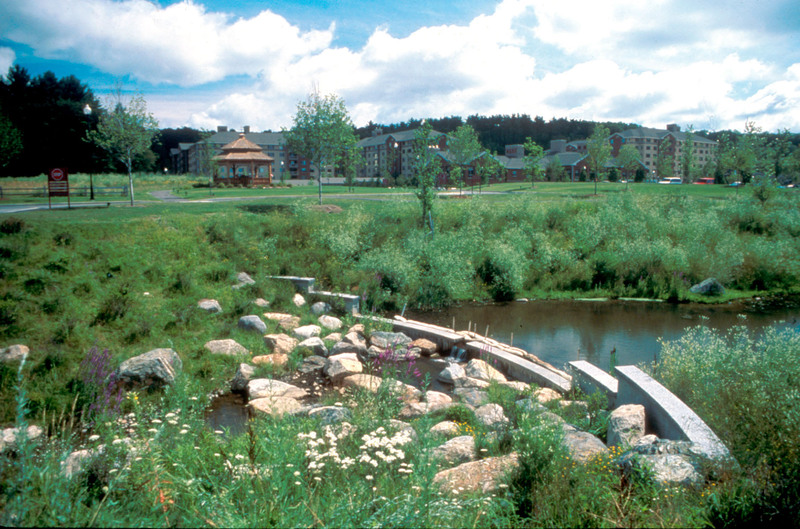 Taking cues from the site’s context, the Brooksby Village Master Plan creates unique landscape themes for each of three neighborhoods, creating variety and interest within the community. 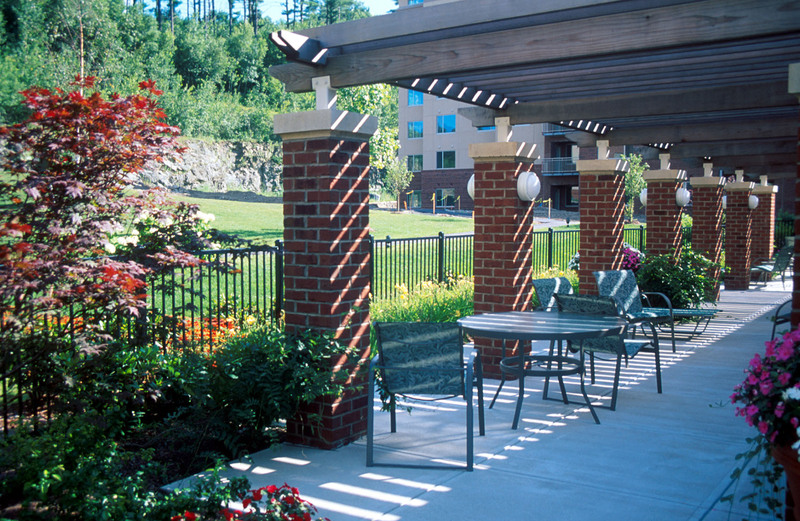 Common areas and major landscape features establish the overall character and framework of the campus and serve as transitional spaces between neighborhoods. 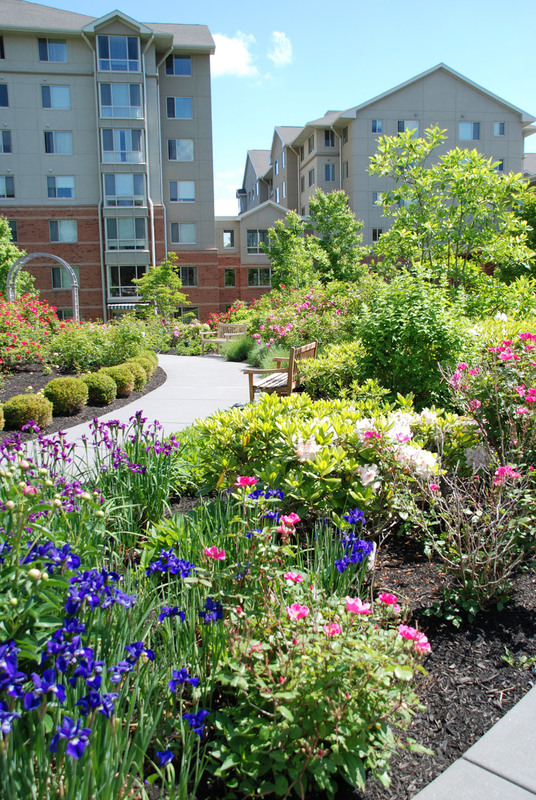 The natural quality of the woodlands, rock ledges, and wetlands create a tranquil environment for the residents of this new senior campus living community.